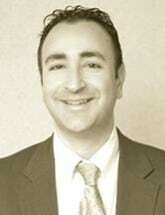 Sam C. Toma is licensed in the State of New Jersey. While in law school and prior to becoming an attorney, Mr. Toma worked closely with an attorney who specialized exclusively in Workers' Compensation practice. Mr. Toma specializes in obtaining medical treatment and temporary disability benefits for injured workers. He also has experience in negotiating awards to compensate for disabilities suffered as the result of work injuries. Mr. Toma graduated from Lafayette College in Pennsylvania in 2004, where he received a Bachelor's degree in Economics & Business with a minor in Philosophy. He went on to obtain his Juris Doctorate from the Rutgers School of Law in Camden in 2007. Mr. Toma believes that in a workplace culture where reporting injuries and seeking medical treatment are routinely discouraged, it is vital that workers be properly advised of their rights when hurt on the job.